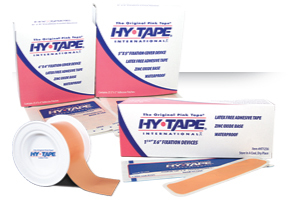 For more than seven decades Hy-Tape International has been a leader in surgical adhesives. Our unique Hy-Tape brand of waterproof, zinc oxide-based adhesives include rolls of tape (The Original Pink Tape®), large patches, pre-cut strips, and kit rolls. Each deliver their unique qualities and benefits in both critical care and everyday situations, when it counts most. To meet the fast-growing global demand for Hy-Tape, we have added to our trusted distributor network. In addition, we are partnering with other medical device manufacturers that prefer Hy-Tape’s latex-free zinc oxide-based adhesive for enhancing the reliability and gentleness in their own products. 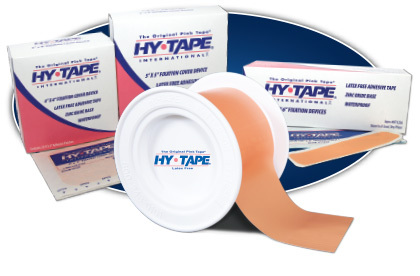 Providing you with the highest quality, most reliable and gentlest surgical tape on the market is the goal of every Hy-Tape employee. In so doing, we strive to help health care providers, caregivers and end-users maintain the highest quality of life.